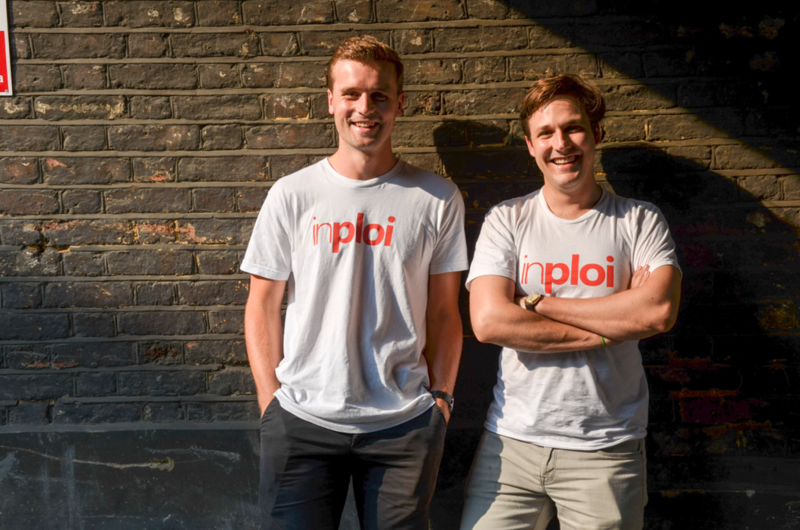 Alex and I are the co-founders of inploi - a jobs network for London’s hospitality sector. I came to the UK from South Africa to do an MSc in African Studies at Oxford as a Weidenfeld Scholar. Not quite ready to leave university, I carried on to the business school where I did an MBA. I then worked briefly in private equity before jumping ship and diving into entrepreneurship as a full-time pursuit. Alex did theology at Edinburgh and was working with OgilyOne in Hong Kong before joining me at inploi. How did your university experience help prepare you for life as an entrepreneur? Although it could be argued that completing an MBA or business-related degree can provide more appropriate training for entrepreneurship than other degrees, I would argue that entrepreneurship is more a state of mind. A formal education in business can definitely serve to prepare and embolden you, giving budding entrepreneurs tools and frameworks to use, as well as the stories of others to refer to when stepping into the unknown! My co-founder Alex didn’t do an MBA, yet we have been able to get inploi off the ground together, learning as we go. If you have the potential to be an entrepreneur - to withstand uncertainty and take substantial risks - then education may (or may not) serve to lead you on that path. What were your reasons for starting your own business? Deciding to be an entrepreneur comes from a strong desire to be in control of our own destiny – to play an active role in building something; in shaping the world in some meaningful way. There is also a deep satisfaction that comes from being so close to the impact of the work you do – we can see the results of every ounce of input and that is extremely fulfilling. How did you actually put it all into practice? One of the hardest parts was taking the very first step. We had a good idea, explored it and reassured ourselves of its validity and then, in the sure knowledge that if we did not act on it then somebody else would, decided to drop everything else in order to build inploi. The early steps involved determining what we would need to make the idea of inploi a reality, in terms of skills, personnel, and funding. Starting out with no money meant that Alex and I had to do just about everything. As neither Alex nor I are programmers, the next (and crucial) step was to find a skilled developer to work with us. We then met Chris Mackie, who is now our CTO. All along the way we were thinking about and refining our product - the solution that we were bringing to market. This went through a number of iterations, and modifications before we finally got to building the product we envisaged. What would your advice be for entrepreneurial graduates entering the workplace? Alex and I could be building careers in offices, suited up on the 09:00-17:00. Instead we’ve dived headfirst into the tides of business, and got our hands dirty trying to build one from the ground up. We’ll come out of this experience, whatever the outcome, with our perspectives forever changed. We’ll have learnt and experienced things that we could not have done any other way. And that makes the journey and every ounce of effort we put in completely worth it. If you have the idea and the determination to start your own business, we applaud you and wholeheartedly encourage you to do so! Feel you need a little more experience under your belt or want to join a start-up in its fledgling years? Check out all the awesome opportunities on our graduate jobs board.